Google Offers is expanding; denizens of Austin, Houston, Philadelphia, and Miami will now have access to daily deals in their neck of the woods. Google is also adding more partners, in an attempt to broaden their offerings. In an attempt to pick up the pace at which offer partners are added, Google has inked deals with other independent specialty offers websites, including 8Moms, DailyDeals, Half Off Depot, and Morgan’s Deals. 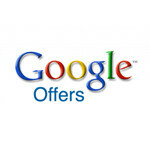 Will this allow Google Offers to better compete with the Groupons and Living Socials of the world? We’re not sure, but if you’re into the discount shopping scene then more companies competing to get you the best deal can only be a good thing. One area where Google would do well to compete more effectively is in its mobile app offerings; Groupon and Living Social offer apps for all of the major mobile platforms, but so far Google Offers is Android-only, although they indicated that an iPhone version would surface sooner or later (they said this last November, so apparently the correct answer is “later”). What do you guys think? Can Google ramp up Offers fast enough to compete, or will the window of opportunity close before they can get an app out for everyone and add a critical mass of cities? I signed up for Google Offers and all I get is unwanted offers from places I would not ordinarily go. To me t seems to be the spam type offers I try to limit from my e mail coming through with Google offers....That's just my opinion here of what is happening with me! It seems Google is always a day late and a dollar short when it comes to new projects. They used to be the powerhouse; now it just makes me sad to see them try things like this.